Email me when an answer is added to this question. Use the durable plastic Salad Spinner 5 Gallon to prepare large quantities of lettuce for your restaurant or catered affair. With this handy salad spinner, you can dry six to eight heads of lettuce per minute, which translates into greater efficiency and less waiting time for your guests or customers. 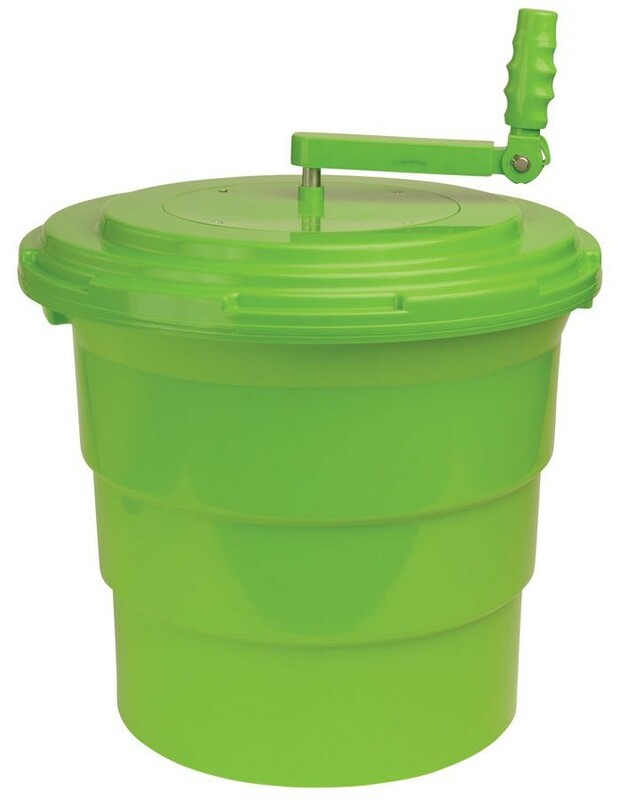 The 5-gallon plastic salad spinner has side handles for easy carrying, a foldable handle and six non-skid feet to keep it firmly planted during use. Available in bright orange or green, the three-tier lettuce spinner is FDA-approved. Copyright © 2019 LionsDeal.com® All rights reserved.